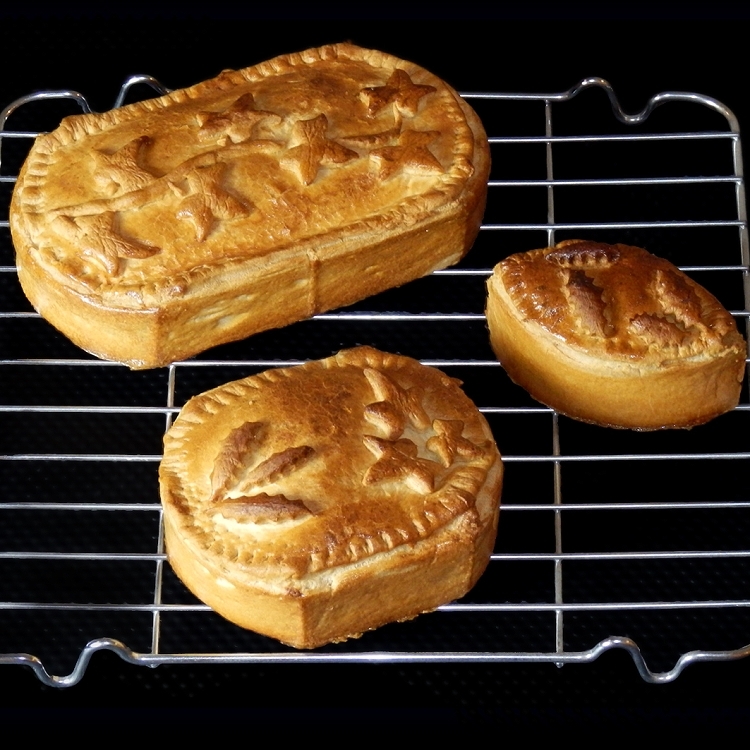 Individual Game Pie Mold, is a classic oval shape for creating country game pies. 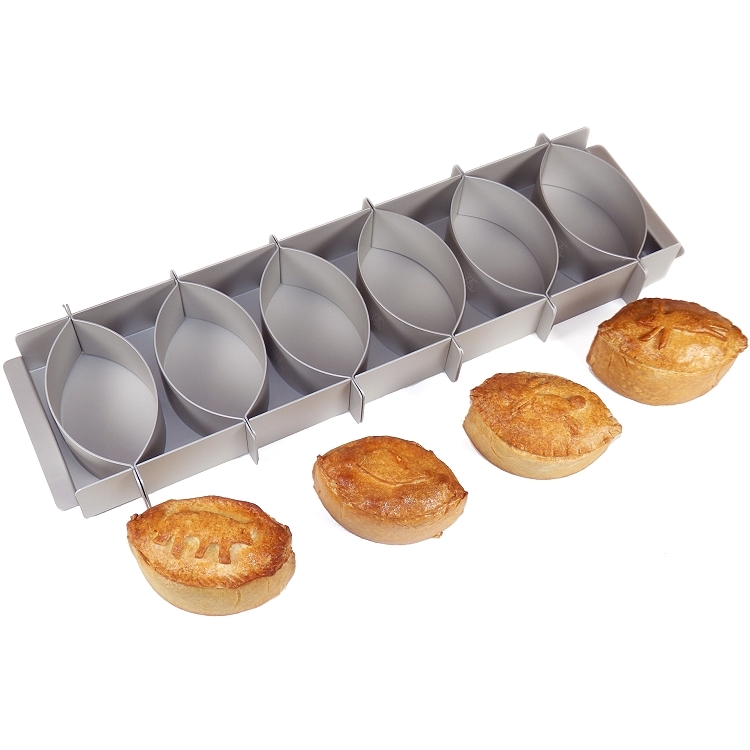 The pan is designed where the two halves fit together to form a traditional oval shape. 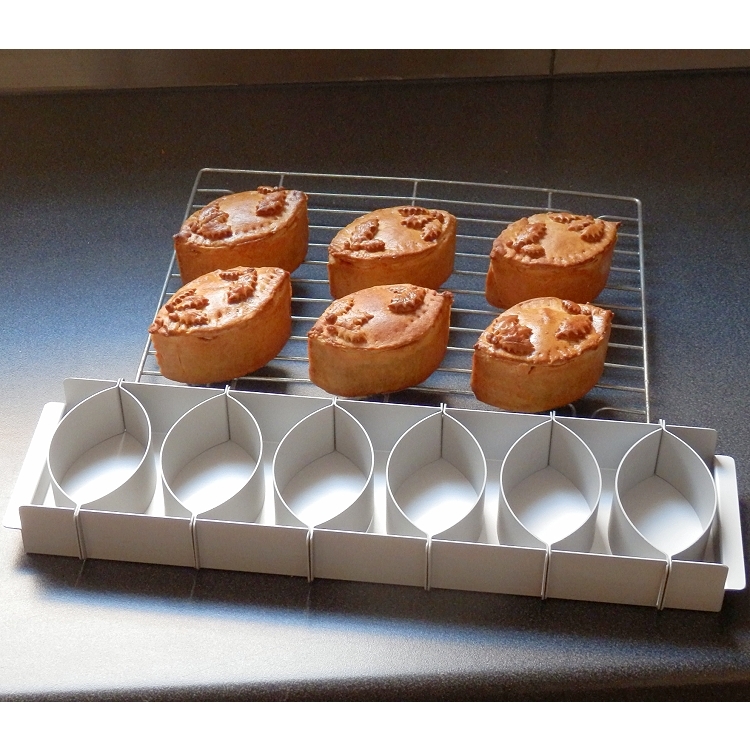 The attached base then supports the form during baking and handling. 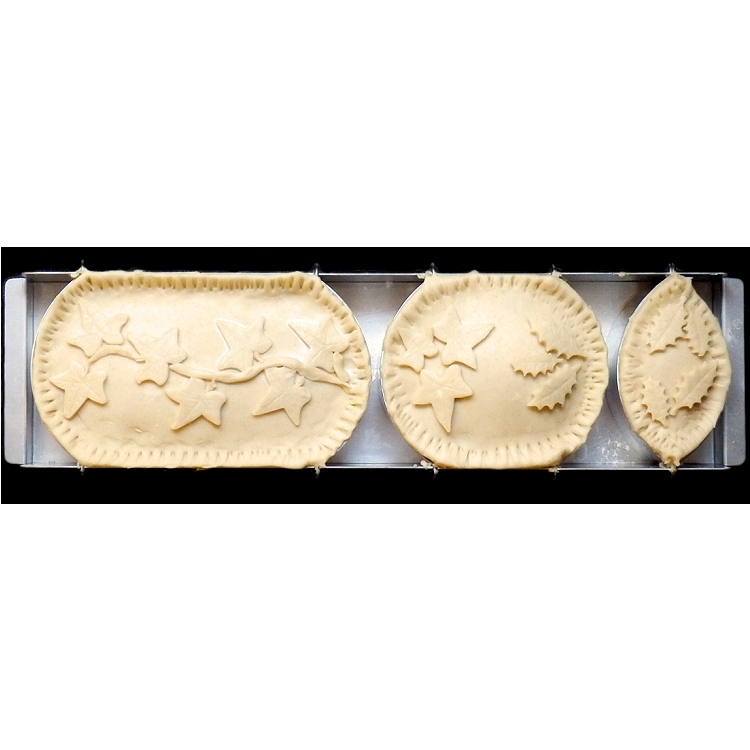 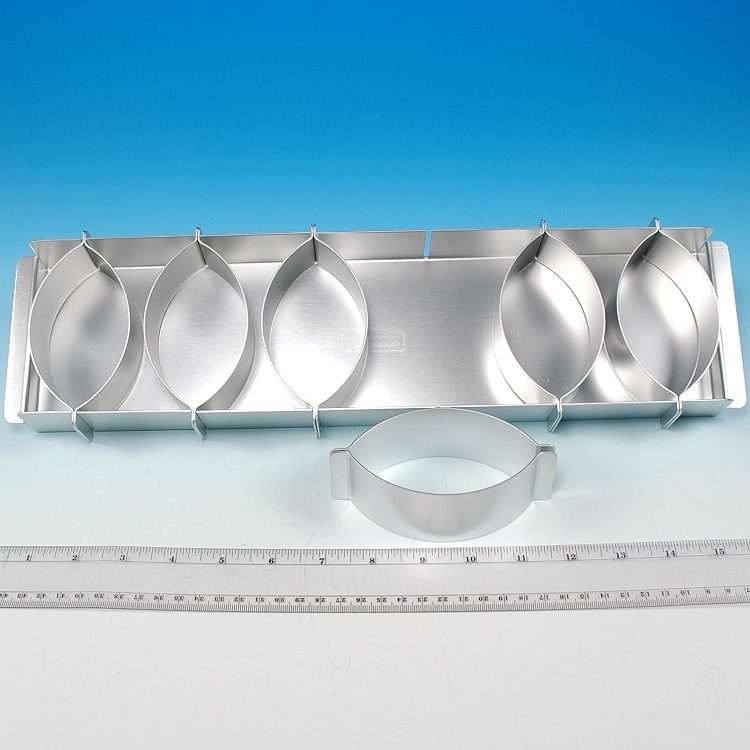 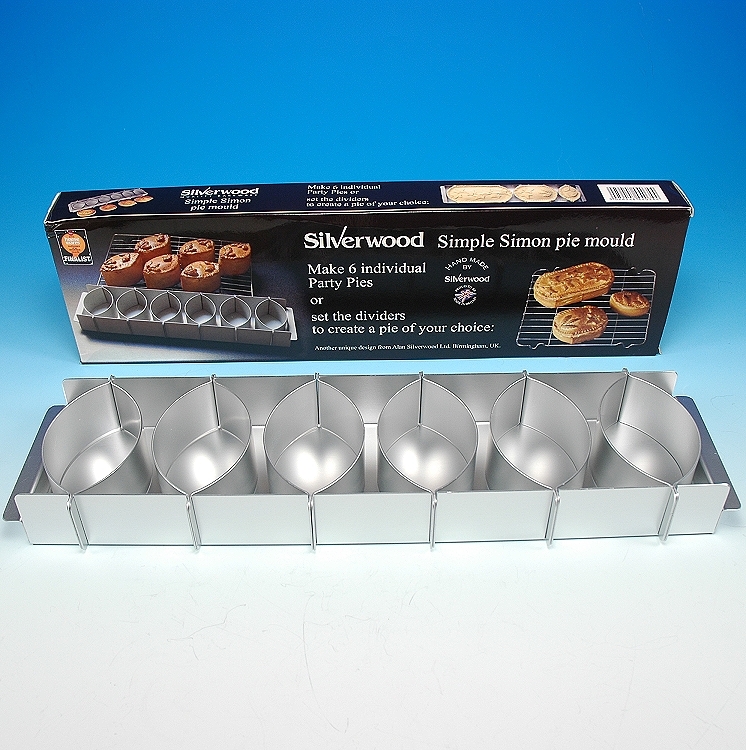 Mold size: length 3 3/4", width 2 1/4", height 1 1/2"
Makes 6 individual pies or set the dividers to create a larger pie.